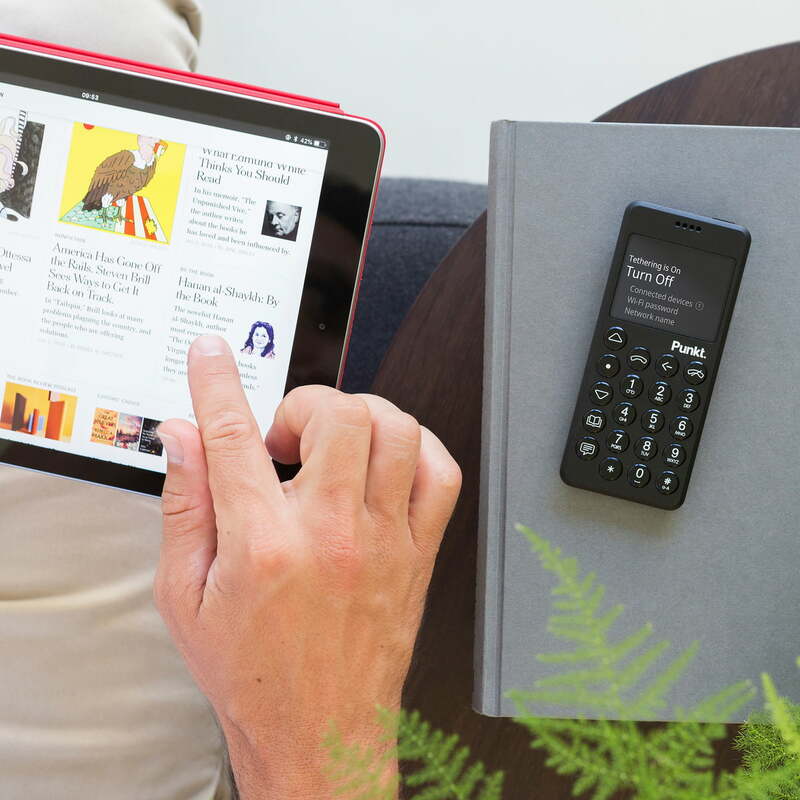 With the MP02 mobile phone with 4G (LTE), the Swiss company Punkt. is once again focusing on minimalism and simplicity. MP02 is already Punkt's second mobile phone that does without unnecessary extras and is completely reduced to the essentials. It thus swims against the current of modern smartphones and offers an uncomplicated alternative that is trimmed for maximum effectiveness. Instead of increasingly complex smartphones, designer Jasper Morrison is trying to create a balance between device and user. In today's digital world, we are often slaves to our devices and almost dependent on the latest news, messages and all the apps we use to pass the time. The CEO and founder of Punkt, Petter Neby, is keen to rediscover the essentials and has consistently freed the MP 02 mobile phone from all useless gimmicks: status updates, shrill ringtones and perpetual notifications. The ringtones specially developed for the MP 02 are by the Norwegian music artist Kjetil Røst Nilsen. If you want to go online, the 4G LTE connection of the MP 02 can be shared with a tablet or laptop. In addition, the phone has an SMS function, just like its predecessor. Thanks to the user-defined dictionary, it is particularly easy to write messages. The large keys with noticeable resistance make typing even easier, so older people can also use the device well. 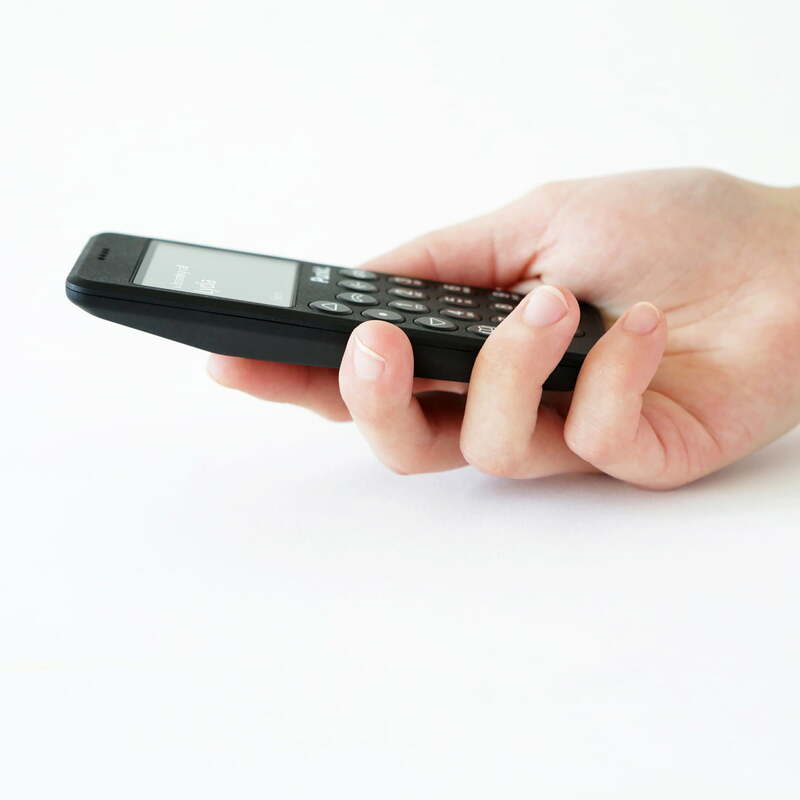 Other useful phone features include a calculator, notepad, stopwatch, timer and alarm, and calendar. The phone also has Bluetooth capability. The battery life in stand-by mode is 12.5 days. To protect the MP02 mobile phone at the hardware and software levels, it is equipped with the proven BlackBerry Secure. This keeps your data secure and your phone protected from hackers. The phone also scores with its design: The housing is glass-fibre reinforced and coated with a robust, abrasion-resistant and splash-proof coating to IP52 standard. The transflective LCD display is designed monochrome+ (black / white) and is based on a 100% text-based surface, which gets along completely without icons. Mobile phone MP02 with 4G (LTE), black (type C Europe) of dot. Mobile phone MP02 with 4G (LTE), black (type C Europe) of dot. in single view. With the MP02 mobile phone with 4G (LTE), the Swiss company Punkt. is once again focusing on minimalism and simplicity. 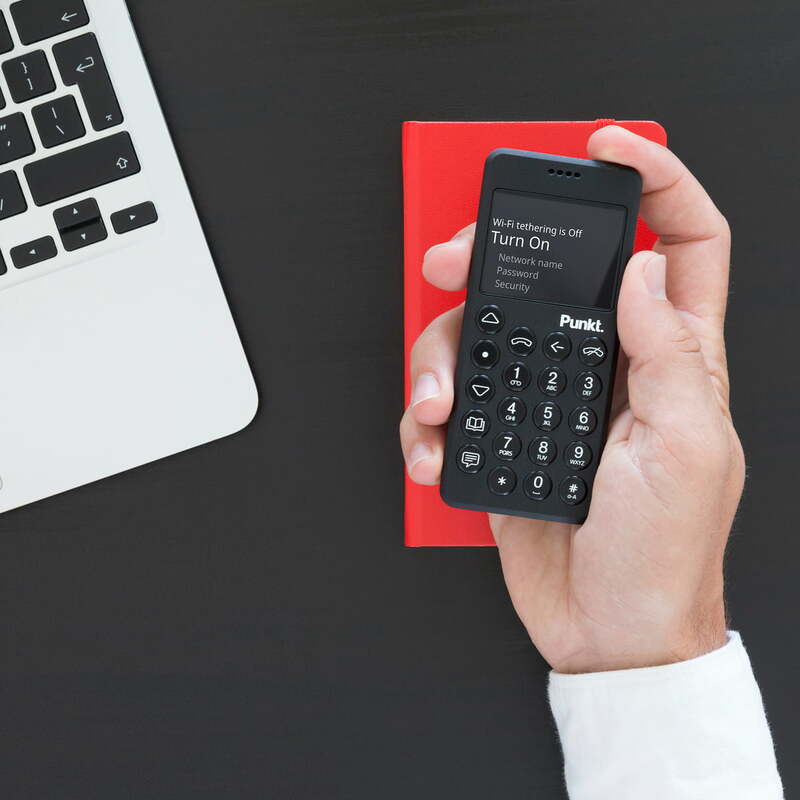 MP02 is already Punkt's second mobile phone that does without unnecessary extras and is limited to the essentials. Mobile phone MP02 with 4G (LTE) of point. in ambience view. The large keys with noticeable resistance make typing even easier, so older people can also use the device well. Mobile phone MP02 with 4G (LTE) of point. in ambience view. If you want to go online, the 4G LTE connection of the MP 02 can be shared with a tablet or laptop. Mobile phone MP02 with 4G (LTE) of point. in ambience view. 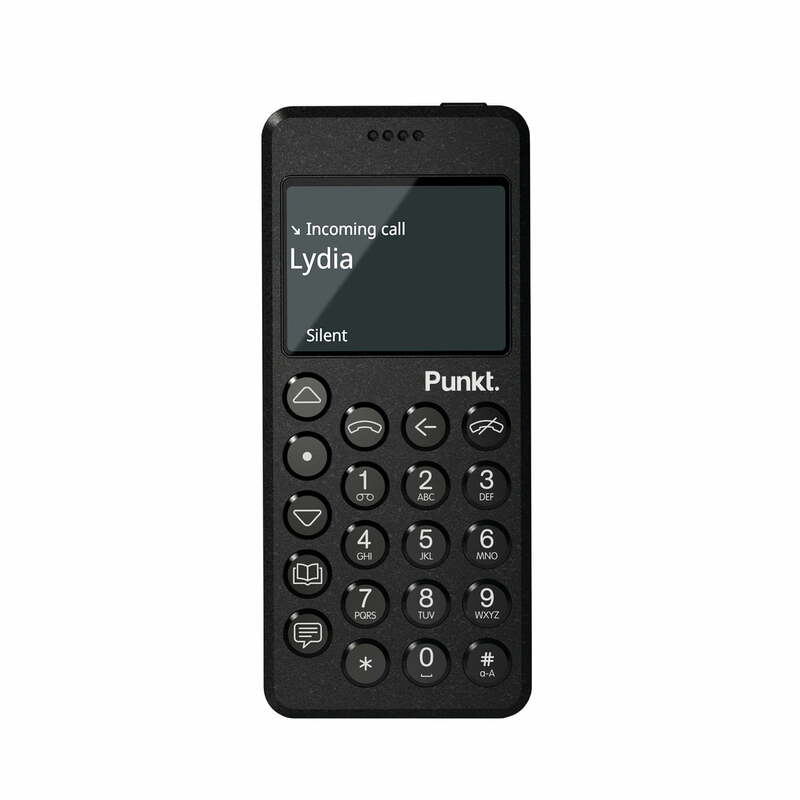 With the MP02 mobile phone with 4G (LTE), the Swiss company Punkt. is once again focusing on minimalism and simplicity. MP02 is already Punkt's second mobile phone that does without unnecessary extras and is limited to the essentials.